If you’re in the market for active noise canceling (ANC) headphones, the best noise cancelling headphones seem to be the Sony WH-1000X M3 and the Bose QC35 II. But how do you decide which one is right for you? Thankfully, we don’t leave things up to taste here, we can break it down for you. Bluetooth headphones live and die based on their connection quality, and it’s tough to get a good sense of what you’re getting into unless you read in-depth reviews. However, when it comes to the Bose QC35 II and the Sony WH-1000X M3, you’re talking about two top-of-the-line ANC headphones. You’re not going to “pick wrong” here. However, there are a few differences you should be aware of. As you can see, the Bose QC35 II are showing their age a bit, as they offer only microUSB charging, whereas the Sony WH-1000X M3 are equipped with a USB-C port. 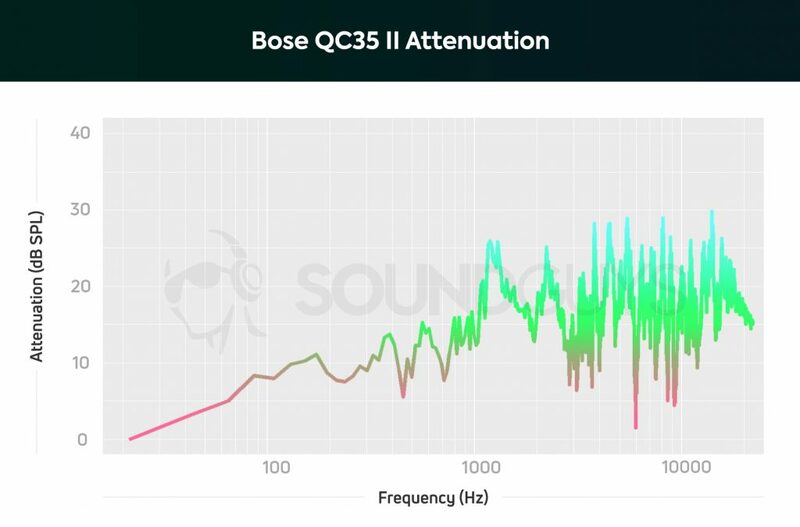 Additionally, the QC35 II falls behind in Bluetooth codec support, only offering SBC and AAC connectivity. Both headphones have great controls built-in, but they have different philosophies behind them. The Bose QC35 II gives users control with physical buttons and a slider, where the Sony WH-1000X M3 offers controls through its touchpad on the right ear cup. A series of gestures allow you to change tracks, volume, play/pause, access your voice assistant, or pipe in outside sound so you can hold a conversation without taking the headphones off. Both batteries last around 24 hours with a playback volume of 75dB, so there’s no clear winner here outside of the specifications listed above. Bose has long been the gold standard when it comes to ANC, but as time moves on, more and more companies have made digital ANC work in their favor. Sony is one of those companies. It may not block out a lot of noise, but the Bose QC35 II does a good job in the low end (the most important frequencies. The QC35 II offers an impressive amount of attenuation across the board, making them great for flights and subway rides, but Sony wins this head-to-head, as it attenuates far more noise. See how much more of that line reaches into the green and blue? 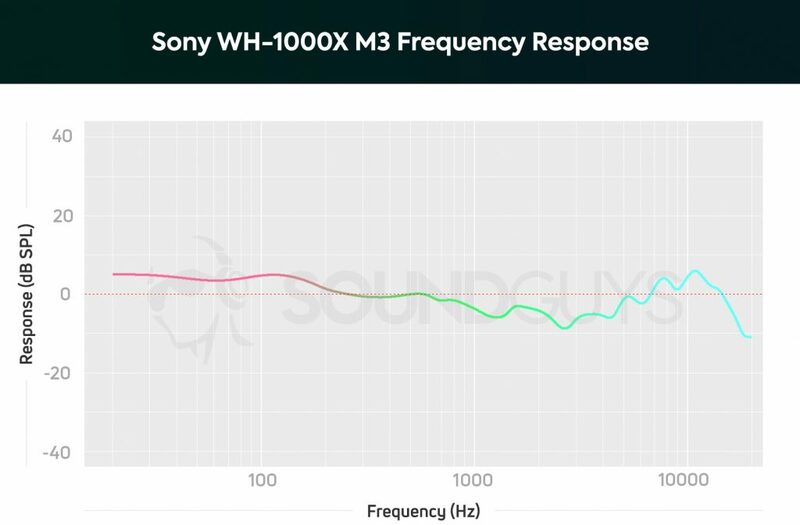 The Sony WH-1000X M3 is much better at canceling noise above 100Hz than the Bose is. However, because the Bose QC35 II can block out more sub-100Hz noise, it does a better job at killing unwanted car engines and low rumbles. This one’s another close result, but the results are more a matter of taste than anything else. Out of the box, the Bose QC35 II have an excellent frequency response (note emphasis) that doesn’t really make any one range of notes stand out over others. This is excellent for equalizing your music if you wish. However, the headphones only support SBC and AAC. Higher-bitrate listening isn’t a possibility on these headphones, so you may notice some compression artifacts in louder music. The Sony WH-1000X M3 on the other hand, have a note emphasis that boosts bass a decent amount, but doesn’t get too crazy with it. The headphones offer a response that’s far more consumer-friendly, and it still can be equalized in the app. But the big thing here is that the WH-1000X M3 supports aptX, aptXHD, and LDAC Bluetooth codecs, meaning it will be able to support higher-quality music streaming. That’s a big advantage over Bose’s QC35 II. With the NFC chip, you can tap your phones to pair your ‘phones. There’s a clear winner here, and it’s the Sony WH-1000X M3. On the following charts, the closer to 0 the line is, the better the result. You also probably aren’t recording anything but your own voice with these headphones, so I’ve limited the scale to the voice band. For those keeping score at home, the voice band is the range of frequencies that a human voice can occupy, at maximum 50-4,000Hz. 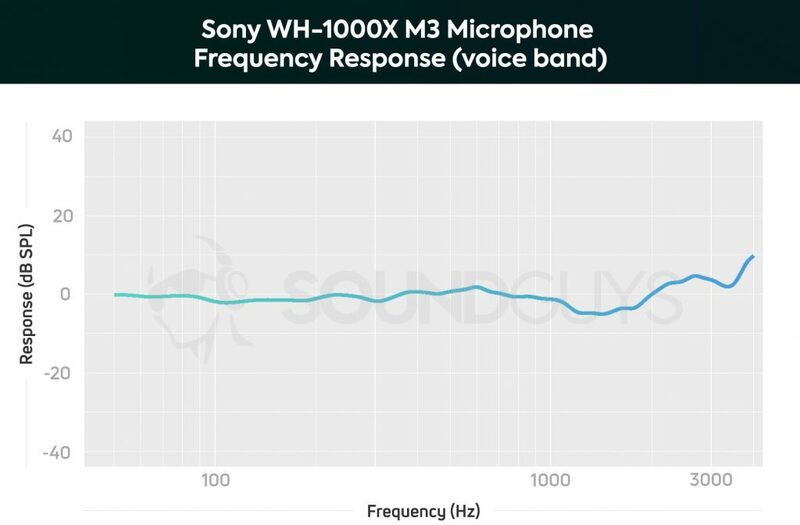 As you can see, the Sony WH-1000X M3 doesn’t really alter your voice in any way, nor does it have trouble picking it up. This is an excellent microphone for voice quality. Just be aware, though, that it tends to pick up everything around you as well. The Bose QC35 II, on the other hand, has trouble with anything below 200Hz, which is a problem for most people. 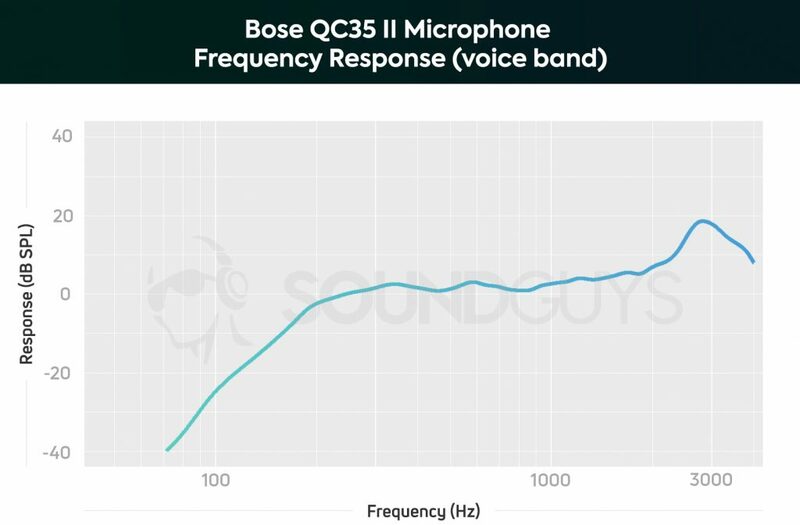 While it has the unlikely benefit of killing noise in your recordings, it also makes low-pitched voices half to one-quarter as loud in voice calls because the Bose QC35 II’s microphone doesn’t emphasize those notes at the same level. While that might not be a huge deal for two out of five SoundGuys, it’s still an issue if you have a deep voice. 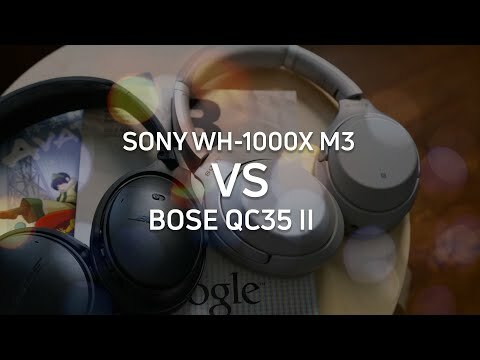 Should you buy the Sony WH-1000X M3 or the Bose QC35 II? 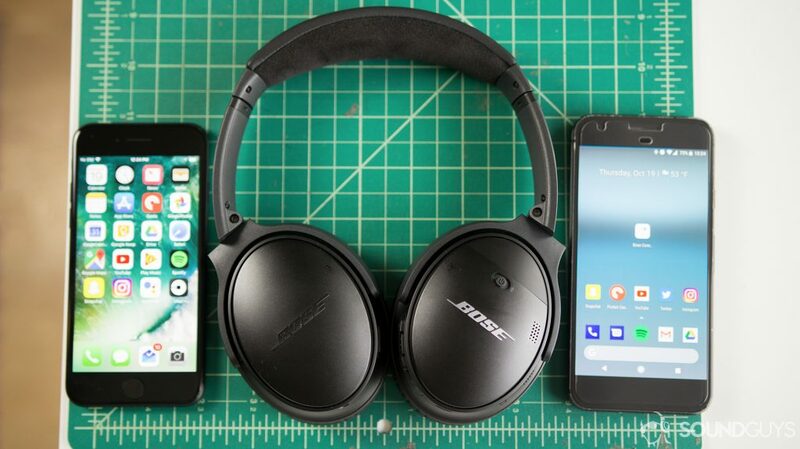 Both are exceptional headphones, but there are tradeoffs on either. However, in most respects: the Sony WH-1000X M3 is the runaway winner here. Not only does it perform better than the Bose QC35 II, but it also has more up-to-date hardware and costs a full dollar less than the Bose. Of course, sales happen, and maybe the shortcomings of the Bose QC35 II don’t seem as bad because they fit you better—that’s fine! Pick up the headphones you like better. However, if you’re looking for longevity, future-proofing, and sound quality: the Sony’s the easy winner here.